Most people will change jobs three to five times before they find their lives' calling and the perfect jobs for them. Others, due to circumstances beyond their control, discover a love, an interest or a vocation that they never may have dreamed about that will be a job they'll enjoy and use to create a business. Andrew Angulo of Los Angeles, California, exemplifies a man who's found not only a business but also a talent and a passion that enables him to live his dream. In June 2009, Andrew was riding a motorcycle fast, became distracted and crashed. He suffered a T7 spinal cord injury and became paralyzed from the waist down. Although Andrew's injury was complete, today he has some feeling below his waist; however, he mainly has involuntary movement. "When I woke up in the hospital, I had to deal with a lot of guilt, since I realized that this injury was a result of my making a bad decision by getting on my motorcycle and going too fast," he remembers. "I realized there was no one else to blame but me. I thought my future would be dim and grim when I was first injured. I knew life would be a challenge moving forward." "I had two young sons, 7 and 9 at that time, and I was very actively involved with them," Andrew explains. "One of my first thoughts was that all the activities I loved to do with my boys were over." Five months after his injury, Andrew returned to work at the same company where he'd worked before. Getting back to work was something he knew he wanted to do. Work was a coping mechanism. 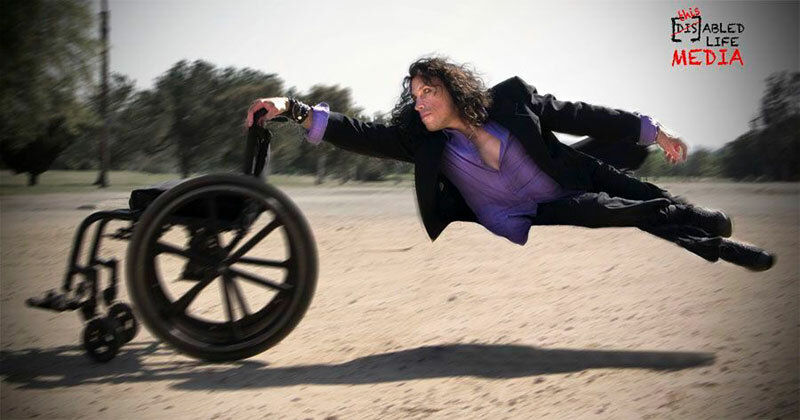 Although Andrew's life dramatically had changed from the motorcycle accident, he reinvented himself to prove at least to himself and others that someone in a wheelchair could get up, go to work and do the job he'd done before his accident just as well as he had done that job previously. During this period, Andrew was working for a pharmaceutical company. At that time in our nation's history, pharmaceuticals went through a deep downturn. Along with many other people in his company, Andrew was eventually laid off. That's when the silver lining appeared in his life. 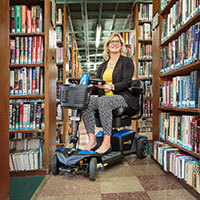 "Once I got out of the hospital, I went online and searched for videos that people in wheelchairs had made of their daily lives," Angulo recalls. "I really enjoyed watching those videos. I made a video of myself and my children, going through my daily life in March of 2010, 8 months after my accident." While Angulo was crafting his videos and sharing them with the world, he decided to purchase a digital camera. He then taught himself how to shoot photography and how to use Photoshop, a software program that allows photographers to modify, change, improve and manipulate their photos to create almost unbelievable images. "After putting my videos and my photography online, people contacted me, wanting me to photograph and video for them and even make business films," Angulo reports. 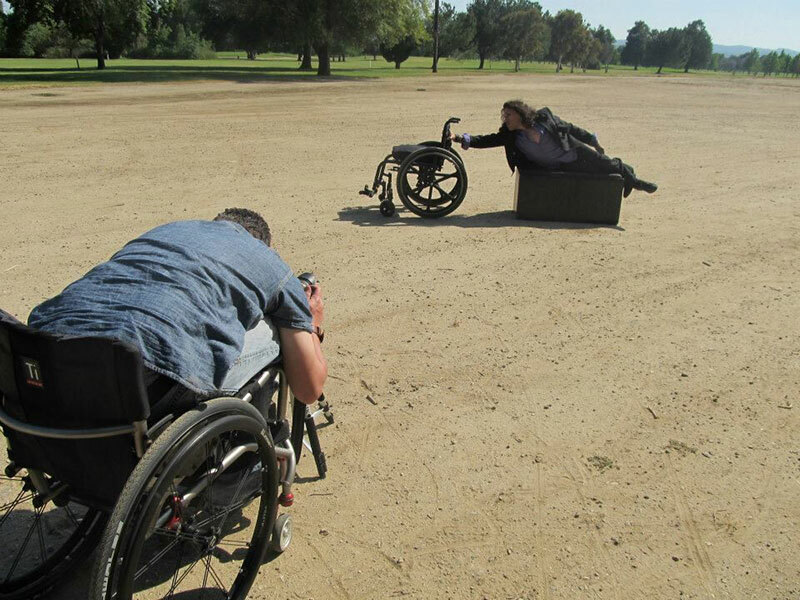 "From my passion for video and photography, I created a business in 2011, DisabledLifeMedia.com, showcasing people with disabilities." "I'm looking forward to when I have more time to put more of my videos online and to post some of the more creative digital images that I've been working on to showcase them," Andrew says. Most of his photography is portrait photography, but Andrew also enjoys creating what he terms "stylized" photography. This is how Andrew sets up one of his levitation shots. "I have a series of levitation photos that are stylized, and I use Photoshop to create that illusion. I love the element of people in my photography—to showcase them in different life situations—who have some type of physical challenge but are doing something extraordinary." "These ordinary people have taken the time to share their faces with me and allow me to dress them up to invent unusual photos." Here is the final outcome on a levitation portrait. He's been filming the Abilities Expo in Los Angeles since 2010. Andrew takes the man on the street approach to highlight the people and events taking place at the Expo. "In my wildest dreams before my accident, I never, never would have thought of myself as a photographer or a videographer," he says. "Now I shoot both photography and videos, primarily with a Canon 5D Mark II and a Canon 60D. My Canon G7 X is a smaller camera that I use for videos." Andrew is often asked why he prefers to use a DSLR to shoot videos instead of using a standard video camera, and he answers, "The DSLR cameras have a sharpness factor that's attributed to using a larger sensor. For instance, the Canon 5D Mark II has a full frame 35mm sensor and produces better color and crisper and sharper images than a small and compact Canon video camera that has a smaller sensor." "I know that being able to make connections with people—whether in using my photography or making my videos—will continue to be a big part of my future." "One of my core beliefs is we all need to have open hearts and help as many people as we can within the circle of people with whom we come in contact." To see more of Andrew's videos and photography, visit Andrew Angulo Film and Photo, his Facebook page and www.disabledlifemedia.com. Andrew Angulo is a big fan of the quality and smoothness he finds in Cure Catheters. That's why he wanted to share his story as a Cure Advocate for friends who are following the Cure Nation online. "I like the Cure Hydrophilic Straight Catheter because from a quality standpoint, compared to some of the other catheters I've used, this catheter has been the one most comfortable and the easiest to use." Andrew says. "The quality of these catheters is consistent too, and I've never had any problems with them. I have used other hydrophilic catheters and closed system catheters in the past, and they have caused reactions ranging from UTIs to burning sensations from the lubrication." Andrew says, "Cure Catheters have worked the best for me." Cure Medical is the only medical device company that donates 10% of net income from every catheter we make to fund medical research in pursuit of a cure for paralysis and urinary retention. Thank you for choosing a Cure! 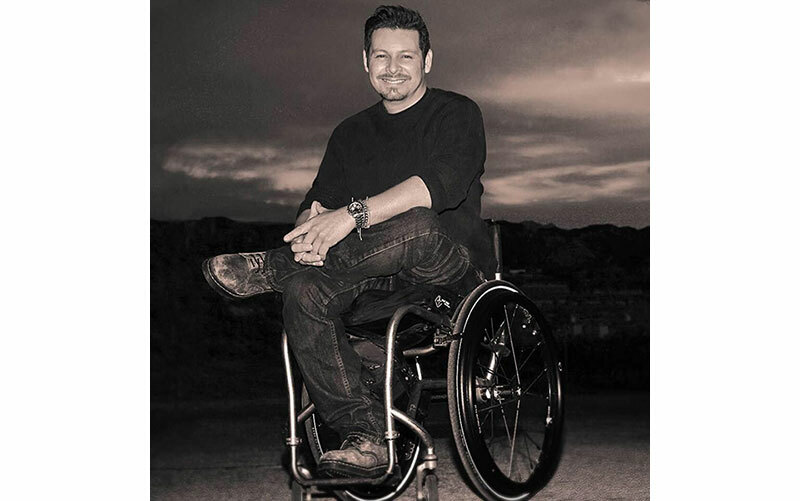 Visit us and meet Andrew Angulo in Booth #537 at the Los Angeles Abilities Expo.